Do you want to learn all about Tai Chi for beginners? Tai Chi focuses on specific postures which work to enhance energy flow throughout the body. It releases stress both in the mind and throughout the body and helps to improve the smoothness and flexibility within the joints. All ages can benefit from the practice of Tai Chi. Are you tired of being tired? If you work with children, then you know how exhausting it can be. Whether you are a tired student, parent, or professional, Tai Chi could be just what you need to feel more energized. Think of a day when you were overly stressed. Perhaps a student that you work with is going through a particularly tough time, or lawyers are involved at an IEP meeting or your child is sick at home. Whatever it may be, being stressed and tense, can knock the body’s energy flow out of sync. This in turn can cause fatigue, stiffness and even depression. Improving the flow of energy within the body can bring numerous health benefits, as well as ensure you feel more awake and relaxed. Here, you’ll discover how Tai Chi can help to improve your flow of energy and why it matters. Did you know your body has its own natural, unique energy flow? Without even being aware of it, your body constantly has energy flowing throughout, helping to keep you happy and healthy. However, sometimes this energy flow can be interrupted or damaged in some way, leaving you feeling fatigued and potentially leading to numerous health issues. Stress and tension tend to be the biggest natural energy drain on the body. When you’re stressed, the muscles tend to tense up. So, rather than nice, relaxing energy flowing through the body, instead it starts to flow with insecurities and fear. Keeping the body relaxed and healthy is, therefore, key to maintaining your body’s natural positive energy flow. How can Learning Tai Chi for Beginners help? Tai Chi is one of the best practices you can partake in to optimize your body’s natural energy flow. Even its name gives you an indication of how energy focused it actually is. Chi is the name given to the body’s natural harmony and energy flow. Tai Chi focuses on specific postures which work to enhance energy flow throughout the body. It releases stress both in the mind and throughout the body and helps to improve the smoothness and flexibility within the joints. Most importantly, it focuses upon what is known as the chi power center. Otherwise referred to as the “Tantien”, it’s basically the body’s gravity center. It acts as a chi pump, sending the energy to different parts of the body. It functions much in the same way as the heart does to pump blood around the body, only it focuses on energy. How will children benefit from Tai Chi? Since tai chi is low impact with gentle motions it is easily adapted for all types of children including those with physical disabilities. Many of the movements can be performed in a seated position. The movement patterns can be adapted so that all can participate at their own level. Children with sensory processing difficulties will be challenged to grade their movements and maintain focus on the activity. Children who have ADHD can benefit also from the grading of movements, the concentration of deep breathing and the meditation component to calm the mind. Children who have motor planning deficits can work on following the motions at a slow and controlled pace. Anxious children will benefit from the stress reduction effects of tai chi. Since Tai Chi can help to calm the mind, improve concentration, increase mental alertness, reduce anxiety, increase circulation, reduce tension and lower blood pressure and heart rate all children can benefit from this practice. You’re not going to notice an instant energy boost with Tai Chi. Like most things, it takes time to develop the true benefits of the practice. However, that isn’t to say you won’t feel any benefits right away. After one first session, you and the children should feel more relaxed and calmer. This in itself is a pretty awesome benefit! Then, the more you become used to the practice, the more benefits it will start to deliver. Absolutely every Tai Chi movement is designed to deliver energy to the body. So, there are no specific movements you should be concentrating on if you’re looking to boost your energy levels. Initially, you’ll start by learning more about how your body’s movements are linked to your energy levels. As you and the children advance through the practice, you’ll start to find it easier to actually recognize your chi, or natural energy flow. This, in turn, will show you how you can alter it if needed. Tai Chi enables you to channel energy anywhere you need to. However, mostly it’s best to let your chi go wherever it needs to. The body has a pretty amazing ability to send energy wherever it’s needed most. Often, energy isn’t required where you initially think it is. While it may not look particularly challenging, Tai Chi is one of the best exercises you can do for your BODY and MIND. Tai Chi is a renowned Chinese martial art, known for its slow, flowing movements. It aims to promote inner calm and peace but it actually provides far more benefits than most people realize. Did you know Tai Chi has the power to significantly boost your energy levels? As it’s a slow moving physical exercise, energy isn’t something you’d typically associate it with. However, it works to enhance energy levels in numerous ways. By focusing on correct body alignment, strengthening the nerves and reducing stress placed onto the heart, Tai Chi helps to boost your energy level. Tai Chi for Beginners – Head Outdoors! 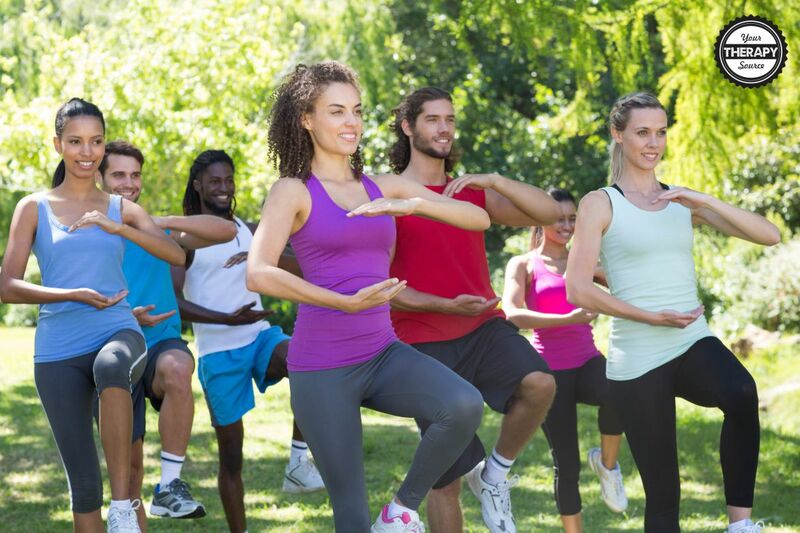 Have you ever noticed that most Tai Chi classes are taught outdoors? Well, there’s actually a reason for that. When you’re outdoors, there can be more distractions to contend with. This means you’re going to need to work extra hard to concentrate on the practice. Over time, this really helps to build up your discipline and ability to drown out outside noise. Another reason it’s done outdoors is that it helps you to appreciate nature. Tai Chi is all about finding your inner calm and being at one with the environment. Practicing outdoors is said to connect the spirit to the planet, which in turn provides numerous benefits such as more radiant skin. You’ll learn how to use your body and mind as a whole Tai Chi is a very coordinated practice. Through consistent slow, coordinated movements, it helps to really bring balance to the body and mind. This is actually something many of us could benefit from these days. How often do the children you work with and you spend feeling stressed out, depressed or anxious? Mental illness is a very common issue in today’s society, yet practices such as Tai Chi could be really beneficial at reducing the symptoms. As your mind and body become more aligned, you’ll start to feel calmer and a lot more in control of your life. It’s not easy. From the outside, Tai Chi looks like a relatively easy, non-challenging practice. However, nothing could be further than the truth. Sure, it’s slow and it can hardly be considered an intense cardio workout. However, that definitely doesn’t mean it’s easy. Those who haven’t exercised in a long time, or those who may be suffering from any type of physical limitation, may find it pretty tough to get into. However, if you’re up for the challenge, Tai Chi can definitely be learned by all ages and abilities. There are a lot of relaxation techniques you can try out. Deep breathing and mediation are both highly recommended as part of Tai Chi practice. Once you start identifying the tenseness within the body, it will become much easier to release it whenever you need to. If you’re trying out meditation, you may find you struggle at first to block out all other noise and intrusive thoughts. However, with regular practice, you’ll develop a much greater ability to control your thoughts and relax the mind. Breathing is another key element of Tai Chi. In order to be able to focus on your breathing techniques, you need to ensure you’re comfortable. Once you’ve got yourself comfortable, start by taking a deep breath in, then a deep breath out. Try to focus solely on the breath. Follow it as it enters through the nose, down the back of the throat, into the lungs and finally down into your stomach. Then, follow it as you exhale, from the stomach, up to the lungs, up the throat and out through the nose. Taking a few deep breaths using this technique, will automatically relax the mind and body, helping you to connect with your inner energy. If you’re just starting out with Tai Chi and you want to teach it to the children, you may struggle to understand or follow the tips to get in tune with your energy flow. For that reason, it often helps to take an actual Tai Chi class, check out videos on You Tube or read Tai Chi for Children. You’ll be able to gain valuable tips and advice on how to correctly follow the principles of Tai Chi. Along with breathing and relaxation, the right posture can also make a massive difference to how energized you feel. You may have heard that many successful people take on a “power stance” whenever they need to feel powerful and confident. Surprisingly, it works! One of the key principles of Tai Chi is correct body alignment. You can explain to the children that it helps with their posture and how they carry their body. Many people don’t realize just how important correct body alignment is for their energy levels. So, how exactly does readjusting your body’s alignment boost your energy? When the body is correctly aligned, it enables the muscles to work much more efficiently. This means the body doesn’t need to use as much energy, greatly reducing muscle fatigue. It’s also possible that poor posture can compress the diaphragm and place restriction onto the rib cage. This can reduce lung capacity, leading to breathing trouble, along with reduced energy. Tai Chi focuses on developing correct body alignment. Using the correct posture enables the body to relax and generate lots of positive energy. Finally, to find your Tai Chi energy flow, it’s important to start meditation slowly. It’s common to think just because Tai Chi is a slow and somewhat gentle practice, you don’t really need to ease yourself into it. However, in order to become better at the practice and control your flow of energy, you will need to start off slowly. For example, start with just 5 minutes of Tai Chi each day. You can work your way up to doing more. As you do increase the time you spend doing it, you’ll find you start to develop more energy throughout the body. Tai Chi for Children includes a delightfully illustrated story for children with all abilities: It describes the history of Tai Chi and some basic principles and movement patterns (from Tai Chi Fundamentals®) in a way that children can understand. It could be read to teens or adults with intellectual or other challenges as well. 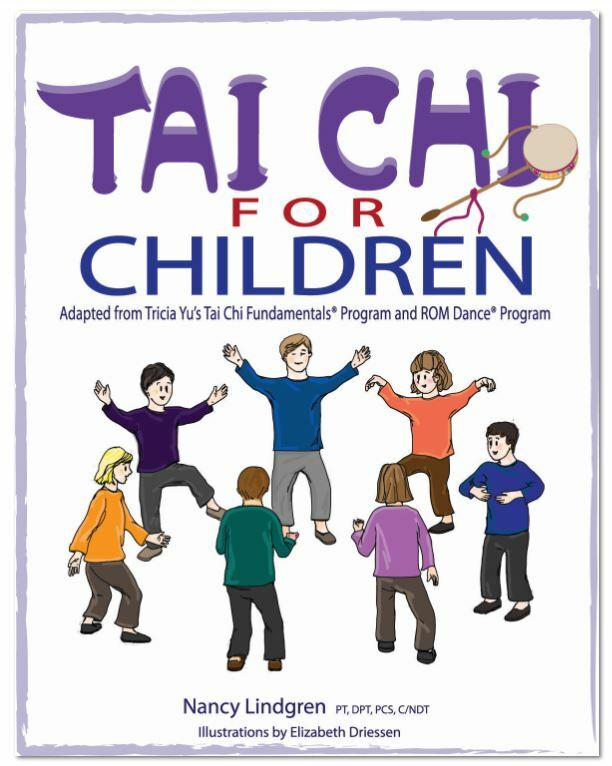 This storybook is for every parent, teacher, child, therapist, physician, grandmother, or person who wants to learn more about Tai Chi or may want to inspire a child to try this form of physical activity. Also included is background information on Tai Chi, the 12 movements of Tai Chi (with full-page illustrations), guidelines which include the key components of each movement, benefits and simple verbal cues for seated and standing positions, student feedback scale and student practice chart. FIND OUT MORE.